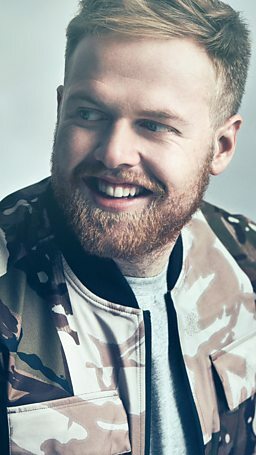 Gravel-voiced singer-songwriter Tom Walker was born in Glasgow and raised in Manchester, where he devoured albums by everyone from Michael Jackson to AC/DC. Perhaps as a result, his own music is hard to pin down. He describes it as “a mix between hip hop, a tiny bit of blues, a bit of pop with a splash of reggae” – but the connective tissue is Walker’s heartfelt, down-to-earth storytelling on songs like Just You and I and the Naughty Boy-produced single Heartland. "Taken with my first ever guitar in 1994. I’m pretty sure I broke it actually but this is where it all began. Without that guitar I may not be where I am today." "11th May 2017: This is Blessings – my first ever EP. This is a big moment for me as it was the first physical thing I released." "29th September 2017, New York: This picture says more than I ever could in words. 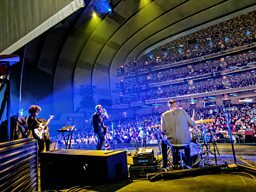 Radio City Music Hall - New York. Thank you to everyone who’s been a part of my journey, it means the world." 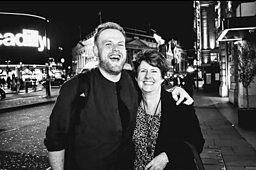 "October 2016: This is my mum, she’s a legend! Both my parents have been there for me through thick and thin so I owe them a lot." "24 June 2017, Glastonbury Festival: Getting to play Glastonbury this year was a massive honour. 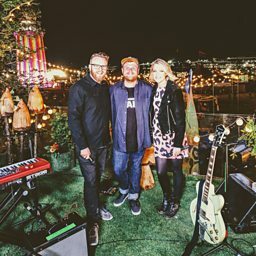 I've been going for a few years now so it was mental to play live on stage then perform on the Treehouse session on BBC Two with Huw Stephens and Lauren Laverne. It doesn't really get any better than that!"